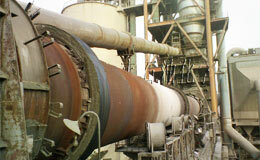 Kilns are key equipment in the cement, mining, and pulp and paper industries. They consume a significant amount of fuel and have common operational problems including improper flame shape, flame impingement, premature brick failure, excessive emissions, low product output, poor hood aerodynamics, poor air/fuel mixing for combustion, and low fuel efficiency. 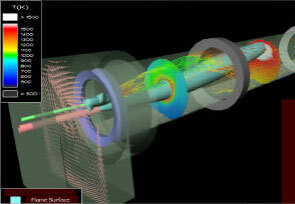 These problems are closely related to the flow and heat transfer to the mud and to the combustion processes in the kiln. SBM works closely with clients to determine the root cause of problems by performing comprehensive analysis to determine the most cost-effective solution. Clients are assured of an unbiased and independent source of information for decision making. Detailed information from the analysis is used by process engineers to evaluate “what if” scenarios, by operators to avoid improper operational settings, by mill managers to make informed decisions regarding kiln retrofits, and by the mill to address environmental issues. SBM provides comprehensive information throughout your kiln at relatively low cost.